Hola~ I've been working on these two paintings for a little while, and wanted to share their "in progress" state. 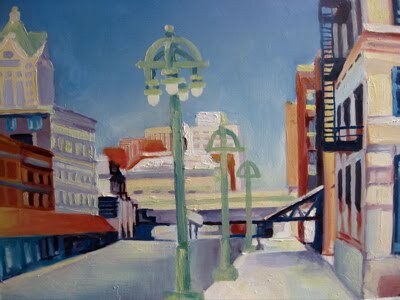 The first painting is an Oil Painting on Panel of the Third Ward (Buffalo St) in my beloved Milwaukee. 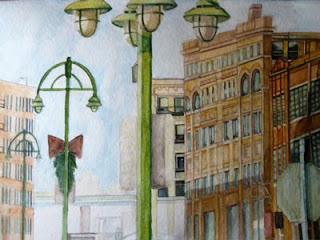 The second painting is a Water Color, of yes..some awesome old Third Ward buildings (Water St). Keep it coming V! Can't wait to see the finished product!